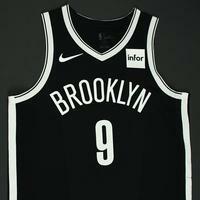 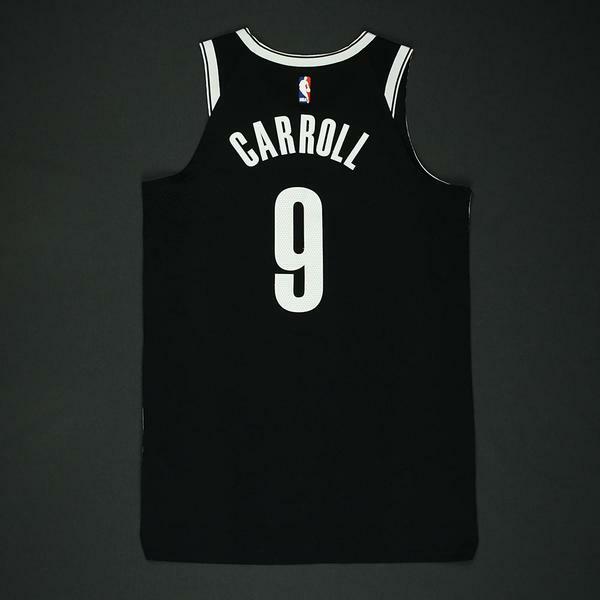 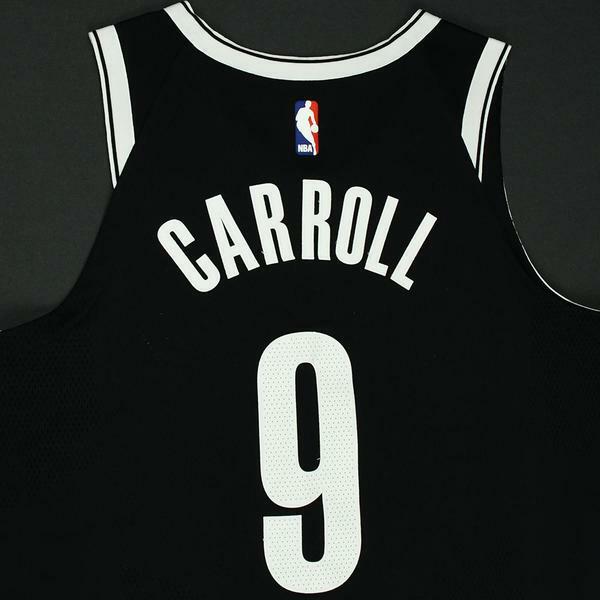 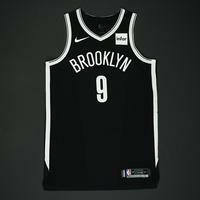 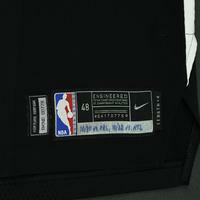 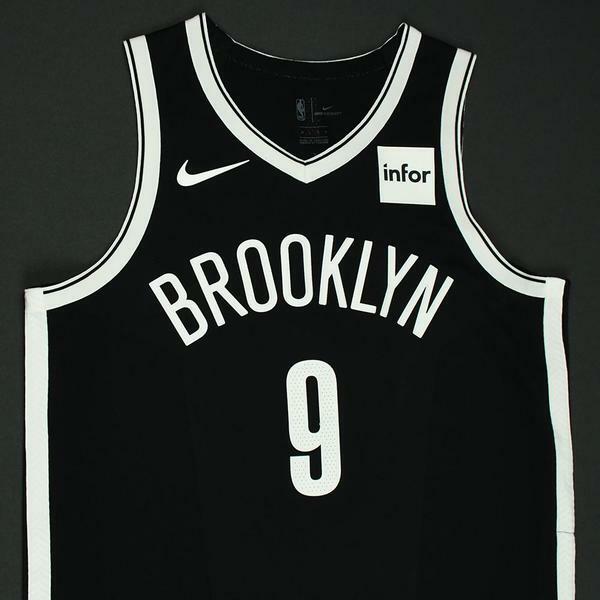 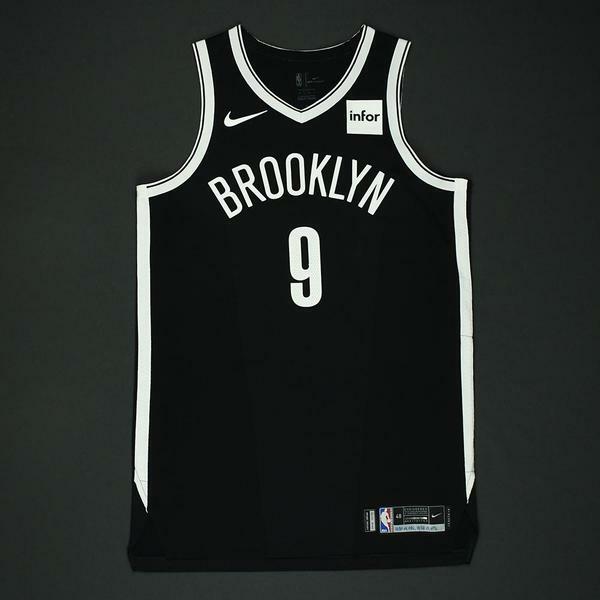 Carroll wore this jersey during the Nets' 126-121 victory over the Orlando Magic on October 20, 2017 at Barclays Center in Brooklyn, NY; and during the Nets' 116-104 victory over the Atlanta Hawks on October 22, 2017 at BarcIays Center in Brooklyn, NY. 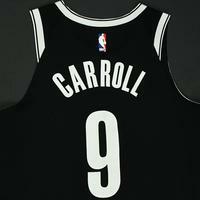 He played 28 minutes and registered 17 points with 2 assists, 8 rebounds and 2 steals on October 20. He played 28 minutes and registered 17 points with 2 assists, 3 rebounds, 2 steals and 2 blocked shots on October 22. 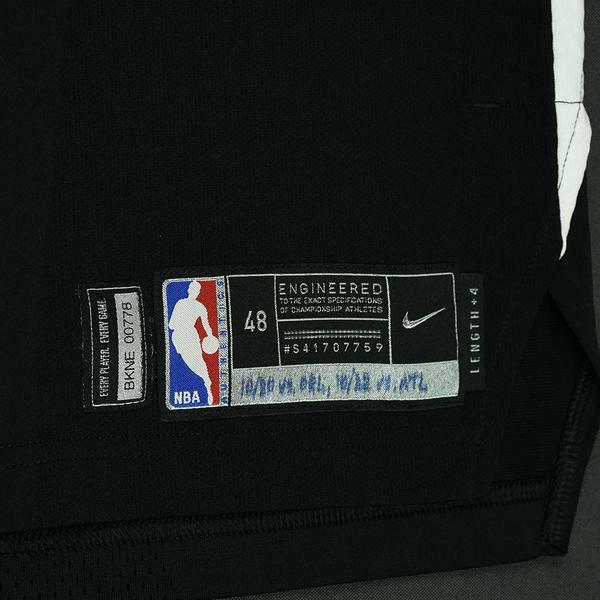 "10/20 vs. ORL, 10/22 vs. ATL" has been handwritten on the jocktag.